In Isaiah 62:1 it says: For Zion’s sake I will not keep silent, for Jerusalem’s sake I will not remain quiet, till her vindication shines out like the dawn, her salvation like a blazing torch. 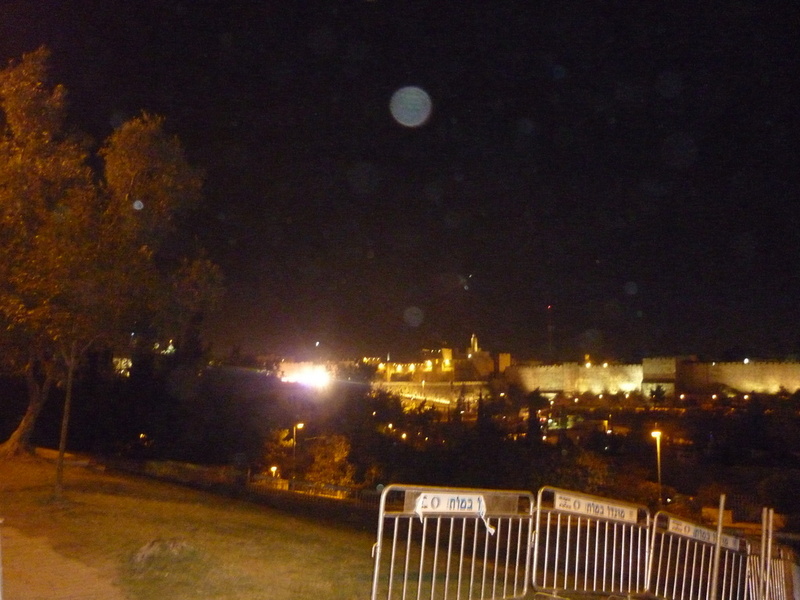 So whats this bright thing I saw from the Jaffa Gate entrance of the old city? The barriers are from where much of the centre part of town was cordoned off from Obama’s visit. I was just coming out of my bible study group and on the way to the pub when I saw this….